ABK College is located in Bunkyo Ward, Tokyo where there is a high concentration of educational institutions. 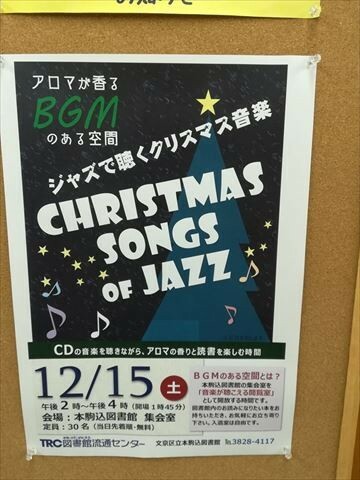 It is also where Tokyo University is. 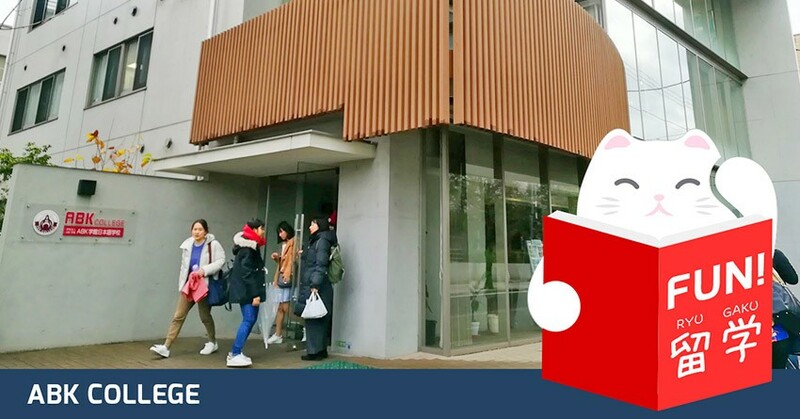 The ABK Group was established in 1957, and ABK College, which is officially known as ABK学館日本語学校 (Asia Bunka Kaikan Gakkan Nihongo Gakkou, or Asia Culture Institute Japanese Language School), just celebrated its fifth anniversary in September 2018. Even so, the school facilities such as the classrooms and electronics are new and the teachers also try their best in teaching the students. The school has around 240 students, a majority of them from Asian countries such as China, Taiwan, Hong Kong, Vietnam, Thai, Malaysia, and Korea. 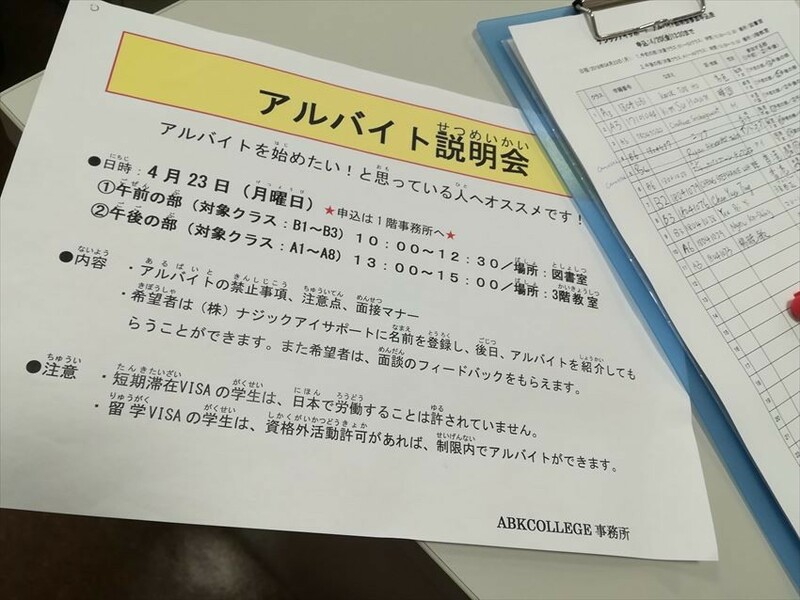 The school fees are 620,000 yen not including the 20,000 yen registration and 80,000 admission fees. This adds up to 720,000 yen, which is approximately RM26,500 for a year of education at a Japanese language school. Enough money to buy the cheapest perodua car in Malaysia. By paying this, you’ll obtain 860 hours in class, study materials and student support. A look at the classroom. Every week, around 2-3 teachers will be teaching your class weekly on rotation. For example, Minaguchi-sensei teaches on Mondays, Tuesdays and Fridays. There is a short break between classes. And as expected, if you’re late by even a minute, you’re considered late in a school in Japan. Additionally, you’ll need money for rent. In my case, I managed to rent a room at the school dormitory which is only 15 minutes on foot away from the school, which allowed me to save lots of transportation fees. A month’s rent at the dormitory is around 50,000 yen including the electricity and utility bills. It also depends on which room you are able to rent, and there are very limited rooms at the dorm. Many students actually prefer to rent elsewhere because they can share rent costs with friends. 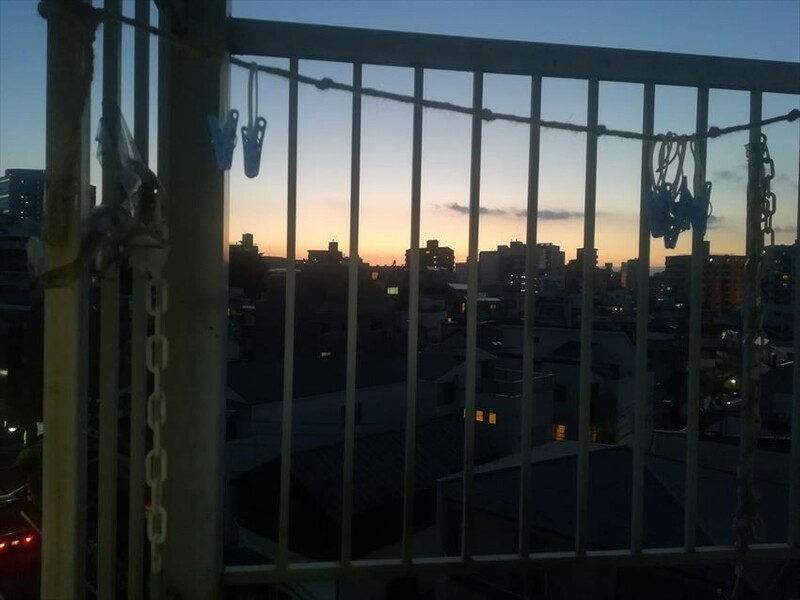 The view from a dorm room at the Fujimae Girls Dormitory. Not bad, huh? The reason I chose ABK College as my Japanese school is because it is in Tokyo. There are a healthy number of people from the school obtaining JLPT certification and the neighbourhood is rather convenient. Additionally, the school fees are reasonable. Plus, the school hours are short which means I have flexibility in picking what to study on my own outside school hours. One thing I learnt from studying here is that it is better if you’re in a class with students that don’t speak the language you do. So you better hope you’re in a class with no English, Malay, Chinese or Cantonese speaking people if that’s what you know. The reason is that if you know people who speak a common language as you, it is highly likely you’ll end up speaking that language by default. Not good! Also, while the school says it covers academic, cultural and experience, the hours are not enough for you to learn about Japan’s rich history or cultural practices. However, there are libraries nearby which can equip you with the information if you don’t know where to start. The library also hosts many events which you can join for free. 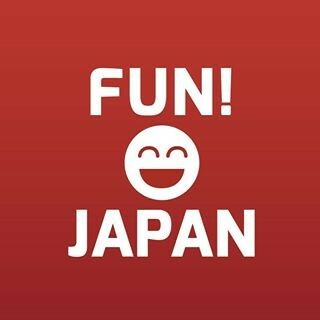 The Sengoku Library and Honkomagome Library are both great places to learn about Japan, or to improve your command of the language. At some point, you’ll be good enough to go learn about it online yourself. Life at the dormitory and the school is pretty smooth and there are almost no communication problems, or barriers to daily life for me. Maybe it’s because I’ve been preparing for life here since three years ago when I started going to Japanese language school every week and often watch drama which show most of Japanese manners and culture. I thought I made a pretty good choice because the class hours are great, the teachers do listen to student feedback about the class, and also the dormitory is really close to the school and libraries. I feel like it did help me save lots of travel time with how well situated it is to the JR trains and subway. Also, I did manage to make friends with fellow foreigners, even if that absolutely didn’t help me improve my Japanese because most of them default to Chinese or English when they speak to me. 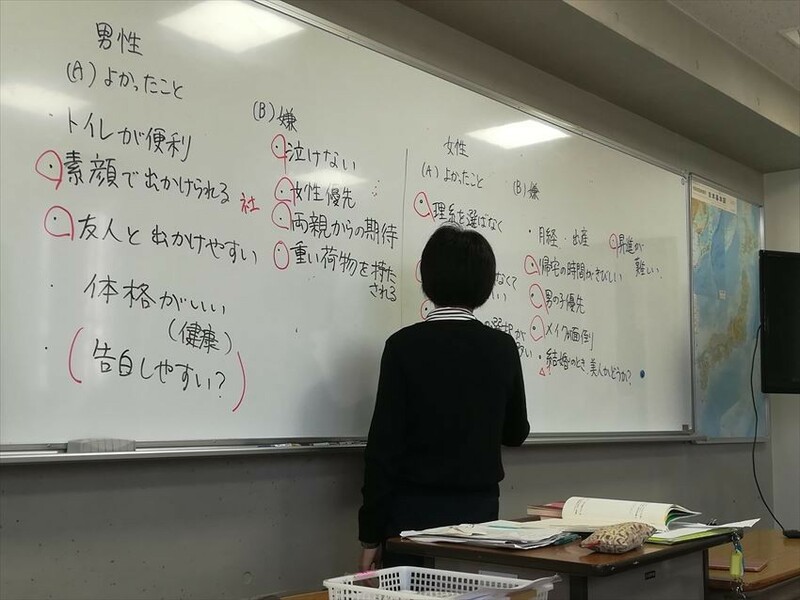 The school has pretty good support for part-time job search and such, the information are available on the school board and also your class teacher is also there for advice. Every semester there is also a free health checkup where you can speak about health concerns with a doctor which will visit the school. Of course, you will need to speak in Japanese with the doctor. Take it as a language practice, and consult them on your worries too. An example of an event shared by the school for those who are looking for a part-time job.